A big rebranding is in the charts. Shirley Chowdhary was recently appointed as the inaugural Chief Executive Officer of the GO Foundation. 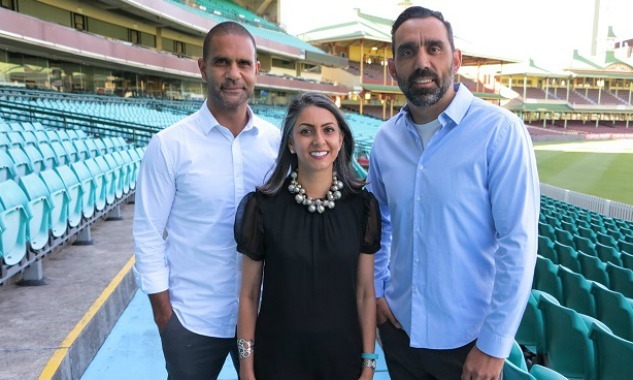 The GO Foundation, which aims to empower young Indigenous Australians through education, was founded in 2009 by Swans champions Adam Goodes and Michael O’Loughlin. Chowdhary has had an abundance of experience in a field of different sectors and had a chat with Third Sector about this fresh new role. TS: What inspired you to take on this role? SC: I have always had one foot in the NFP space throughout my career. My last role was quite transaction driven and meant that I had to make choices about how much NFP work I was able to do. I realised that much of my work satisfaction came from my work outside of my day job. Moving into the NFP space seemed like a natural progression to me. What is it about the GO Foundation that inspires you? I really believe in the power of education. It is the true equaliser. If you give a child an education, no one can ever take it away. Indigenous Australians are facing so many issues on so many different fronts and education can change so many of those outcomes. Education is the fundamental building block of everything we do. At GO we want to show students that if they have a good education, not just primary and secondary, but tertiary and beyond, it will stand them in good stead their whole life. Our board is exceptional and before my arrival was very operational. Our seven board members, including Adam and Michael, have been very hands on and have run the organisation. The board will continue to be very engaged. Adam and Michael are also very involved with everything we do and are an inspiration for our students. That will not change. Adam and Michael are not only great Indigenous leaders but also great Australian leaders. The students love them and any interaction that they have with them. This is their legacy and a very important part of what they do, so they will continue to have a very strong involvement with GO. What do you hope to achieve as the CEO? My first two months have been very exciting and very busy. In early February, we are planning to announce our refreshed branding, a new website, numerous Ambassadors and a prominent Patron Ambassador. This will set us up for an incredible 2017. As CEO, my aim is to take GO to the next level, offer more scholarships, expand what we do and build our brand in the space of Indigenous education. We have 16 scholarships on board at the moment and we hope to expand that. We are also keen to move into the public school space. I think we are only limited by our imaginations. It will all be very exciting! I think a year down the road we will have strong corporate partnerships, a cohort of enthusiastic and able young men and women on our scholarships, including those we support today, and a strong funding pipeline. I can’t wait to see where 2017 takes us.